The legal recruitment market began in 2014 with a number of hires in corporate finance at the associate level. The activity was not confined to any type of law firm – both UK and US firms hired due to an upturn in corporate finance instructions after a strong end to a more testing year in 2013. However, with the recent slowdown of capital markets work and a resurgence in Mergers & Acquisitions (“M&A”) instructions, the market focus has shifted and the outlook for the rest of the year while positive is much more balanced across corporate work and other practice areas, such as litigation and finance. In anticipation of capital markets work greatly increasing across the region, many Wall Street firms stacked their rosters with partners from magic and silver circle firms to advise clients on Hong Kong corporate work. While market activity was stable, picking up towards the end of 2013 and remaining strong in the first half of 2014, it did not increase at the rate expected. The muted growth and recent dip in deal flows have both cooled the current demand for corporate finance associates. Increased work flow generated from several large listings created demand for corporate finance lawyers during the first half of 2014, but the corporate finance hiring trend was a bit deceptive. A number of firms with established corporate finance practices hired multiple mid-level lawyers to help with the work generated by the initial public offerings, but many were replacement hires (ie, not hired as a result of an upturn in work). As these deals are slowing, demand is also tapering off. Where we are seeing a growth in demand is at firms with new corporate finance practices, like Davis Polk, that is growing at a strong rate and taking market share from more established firms. This new market activity is creating some movement among Hong Kong-qualified associates. However, success has not been widespread across all Wall Street firms even though the number of firms competing in the capital markets area has greatly increased. There are still some IPOs in the pipeline, which will lead to further hiring after the summer break, but the real push for law firms will be associate-level M&A recruitment. The M&A activity has increased in Hong Kong and across the region due to an upturn in China outbound investment, an increase in mid-market deals and other Asian economies investing across the region. As a result, we expect to see associate-level hiring increase in this practice area. In conjunction with increased M&A work flow, some firms in Hong Kong have relaxed many of their hiring requirements and are vetting a wider array of candidates. For example, some firms are relaxing their Mandarin language skills requirement, which provides more opportunities to registered foreign lawyers that are Hong Kong-qualified but lack Mandarin language skills. Some firms have also hired from overseas jurisdictions such as Singapore where M&A expertise is more prevalent and Mandarin is widely spoken. This has all resulted in a larger number of candidates being considered as eligible for M&A openings. But even with the relaxed requirements, the Hong Kong market still lacks candidates with pure M&A experience, as the market has been historically more capital markets focused. As a result, some firms are also considering those with mixed corporate experience who want to specialise in M&A work. Candidates that will continue to benefit from this upturn in work (and are currently highly sought after) will be those with pure M&A experience and Mandarin language skills. The US corporate market is bouncing back with associate hiring in the main practices across the region. Some of the established US practices have hired mid-level associates in response to the growing confidence in the US market among Chinese companies listing on the New York stock exchange this year. However, most firms are still adopting a cautious approach, causing local hiring in this area to remain low. Rather than seeking new hires, many firms in Hong Kong have transferred associates from their US offices. Nonetheless, there have been some notable moves. For instance, Slaughter and May’s lateral hire of John Moore equipped their Hong Kong office with both Hong Kong and US corporate law capabilities. Following Moore’s hire, the firm has heavily recruited corporate associates to support the firm’s corporate practice. As a result, some firms are currently seeking associates to replace the ones that moved. The US firms are still dominant in this area and while the hiring does not match the activity on the Hong Kong side, it is a notable improvement. 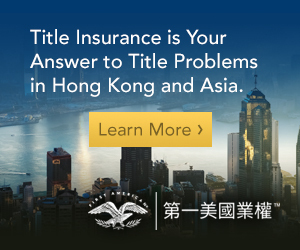 Firms are diversifying their practice in Hong Kong by ensuring they can advise on litigation and financial institutions regulatory matters or by bolstering their practices with associates so they have critical mass. This is due to Hong Kong becoming a much more regulated market and Hong Kong regulators filing more enforcement actions against investment banks and financial institutions. This is in line with the global trend of ensuring that the investment banks are held to account for their regulatory breaches and transgressions. Due to the upturn in regulatory activity, the recruitment market has diversified from the traditional concentration of firms. 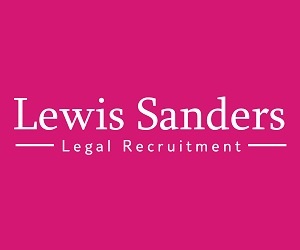 For instance, key partners hires in recent years such as Martin Rogers to Davis Polk, Gavin Lewis to Linklaters and Tim Mak to Freshfields have resulted in more associate hiring at these firms. However, the rise in work flow in this area has not only increased the number of associate-level roles available at larger firms, it has also diversified the types of firms seeking to fill these roles. For instance, we have also seen some smaller firms that specialise in contentious work relocate their London-based partners who specialise in financial regulatory work in order to set up teams in Hong Kong. This has resulted in associate hiring at smaller firms as well to consolidate these practices. The finance market has been in good health this year, with the UK firms leading the charge on associate hiring. While the candidate flow in this area is usually less fluid, there have been many more options at associate level than in previous years. While there has been some notable partner moves, the usual firms known for strength in the finance area have continued to dominate this area and hire at associate level. 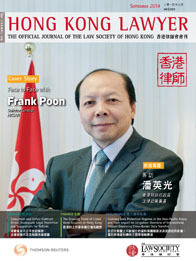 Offshore firms have all increased their presence in Hong Kong, growing across all practice areas to a degree. As a result, some firms are now more flexible about the need for commonwealth qualification for new associates when this previously was not the case. Commonwealth qualification is required to be able to register as a foreign lawyer and advise on offshore law. 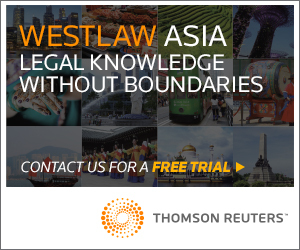 The flexibility for this requirement has expanded the candidate pool for offshore law firms, enabling Hong Kong-qualified lawyers already in the market with Mandarin language skills to be considered. Offshore firms are also growing steadily across the region. Appleby became the first offshore law firm to receive a licence to practice law in China this year. Beforehand, the firm was only able to offer fiduciary services, but can now advise on offshore matters for its PRC-based clients. This is due to an increase in the use of offshore structures in cross border M&A deals throughout the PRC. Harneys also opened an office in Singapore this year in response to growing demand in the region. The firm will advise on finance, funds and will also establish a private wealth practice. The outlook for offshore firms looks positive. Established offshore law firms continue to grow in Hong Kong (both with international relocations and with local associate hiring) as well as expand into other locations throughout the region. It is evident that Hong Kong’s legal recruitment market has improved at a steadier rate than the boom and bust cycle of previous years. The market is maturing, creating steady hiring across all practice areas. The number of law firms diversifying and consolidating their practices has also sparked demand. With the market continuing to improve at this pace, the outlook is positive for the remaining months of the year. Mike is responsible for the recruitment of private practice lawyers across Asia and works with international law firms in Hong Kong, China, Singapore and Japan. Mike has experience recruiting across all areas of law and has successfully completed numerous associate-level searches across the Asia Pacific region from the newly qualified to counsel level.